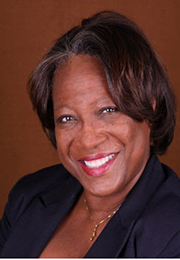 Several years ago, when I was asked to write my first Economic Development Administration (EDA) Public Works and Economic Adjustment Assistance grant for a client, my first step was to learn as much as I could about those who would read and evaluate the application. I searched the EDA website, where I found a treasure trove of statistics, studies, demographics, economic indicators, and other information that helped make me a mini-expert on the subject. What Do EDA Investments in Public Works and Economic Adjustment Assistance Do? EDA investments "help facilitate the transition of communities from being distressed to becoming competitive by developing key public infrastructure." This infrastructure might include technology-based facilities that utilize distance learning networks, multi-tenant manufacturing facilities, business parks networked with fiber optic cable, etc. The EDA also invests in traditional public works projects such as water and sewer systems, industrial parks, port and harbor facility expansion, and brownfields redevelopment. Are market-based and results-driven. EDA invests in projects that not only are able to capitalize on a region’s competitive strengths but also move a regional economic indicator. The economic indicators most in need of movement in almost any region are those that point to employment or private investments in infrastructure: e.g., high-skilled, high-wage job creation; increased property tax revenues; and increased privately financed economic development. Have strong leadership at the helm. EDA looks for projects whose leadership team includes project managers with the relevant backgrounds, experience, knowledge, training, and skills sets required to make the project work. EDA also looks for leadership teams that can actually document their success. In other words, can your team prove that they can make the project happen? How? Advances productivity, innovation, and entrepreneurship. Entrepreneurs and small businesses are finally being recognized for what they truly are: productive, innovative, risk-taking, job-creating machines. EDA knows well that investments in their growth, sustainability and development are actually investments in our future. Entrepreneurial innovation is what drove America’s economy to the top. EDA rightfully believes that investing in that daring spirit will strengthen local economies. Looks beyond the immediate economic horizon, anticipates economic changes, and diversifies the local and regional economy. This one can be tricky. 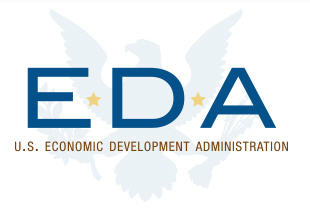 EDA expects a project to look beyond the factors affecting a regional economy right now. EDA wants projects to “foresee” what will happen in the regional economy in the future. Projected impacts from new regional industry cluster developments, emerging business technologies and innovations and global investment trends all must be taken into account to meet this investment priority. EDA wants projects that capitalize on positive trends or mitigate negative trends. To get an investment, your project must paint a picture of your region’s future, and your project’s place in it. Demonstrates a high degree of local commitment. Let’s face it. Everybody must be on board. EDA recognizes that the slow wheels of change turn even more slowly without the commitments from high-level elected officials to keep those wheels squeaking. Consequently, EDA looks for projects that demonstrate strong support from federal, state, and local governments and evidence of cooperation and support from the region’s business community. Otherwise, even the best of projects can end up with the wheels of progress gumming up and taxpayer dollars being at risk. Matrix in hand, I sat down to write, and words flowed onto the pages; the package was done a lot sooner than expected. The results? The EDA Public Works and Economic Adjustment Assistance Program investment package I helped prepare, my first EDA application, received a $1.25 million EDA investment commitment. That project has gone on to receive numerous national recognitions for creating 533 new jobs and attracting $32 million in new private investments all within a one-mile radius of the EDA project. In addition, that package turned me into a real grant writer, and I have gone on to secure over $12.4 million in funding commitments for my clients. The moral of the story? It’s not rocket science, but you do have to know who you are writing to and what you are writing for. Allow yourself time to do the work well. Addresses economic distress within underserved communities and/or regions impacted by economic dislocation: Supports regional comprehensive economic development strategy. Addresses unemployment rates above national, regional, or state levels; large populations of high school dropouts or low-skilled workers within the region; economic events such as relocation of a major employer, closing of a military base, recovery after a natural disaster, etc. Includes public-private partnerships: Projects designed to attract and encourage private investments for matching infrastructure development (such as EDA investments to support profit investments for housing developments and/or as match to promote for-profit development of a commercial and/or retail project, including business and commercial corridors or centers, multi-purpose life-style centers, and/or other infrastructure improvements that increase tax revenues or generate additional sales taxes). Includes innovative technology-led and/or regional industry cluster development: Commercialization of new product concepts, development of sustainable or green products, development of environmentally friendly construction technologies, capitalization of regional unique traits that could help strengthen, expand or grow of regional industry clusters, and/or other strategies that would lead to the creation of high-paying-high-skilled jobs, increased global competitiveness. Supports small business and/or entrepreneurial development: Such as business incubators, revolving loan funds, micro-lending, and so on.